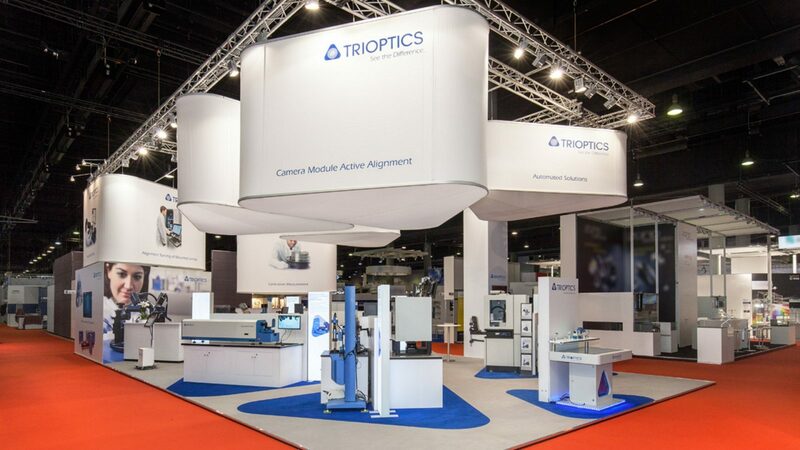 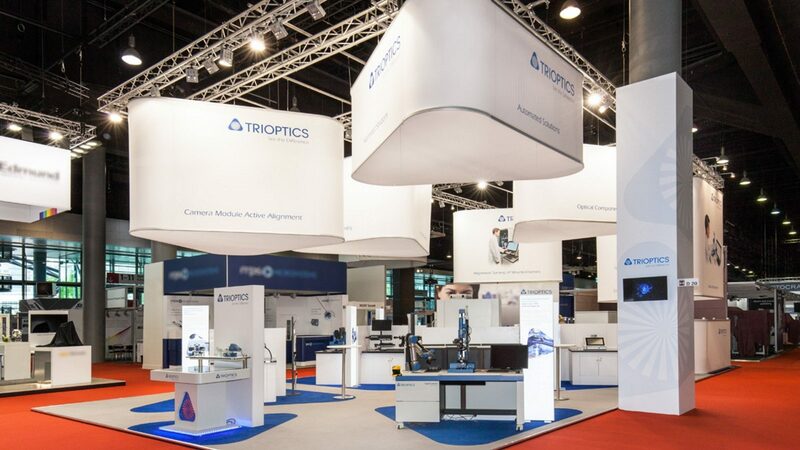 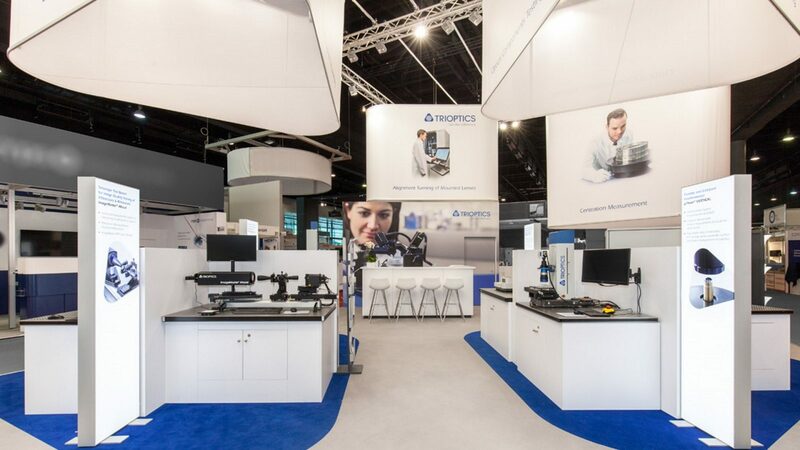 After the “Laser” trade fair, Frankfurt’s Optatec is one of the leading fairs for our regular client TRIOPTICS, based in Wedel. 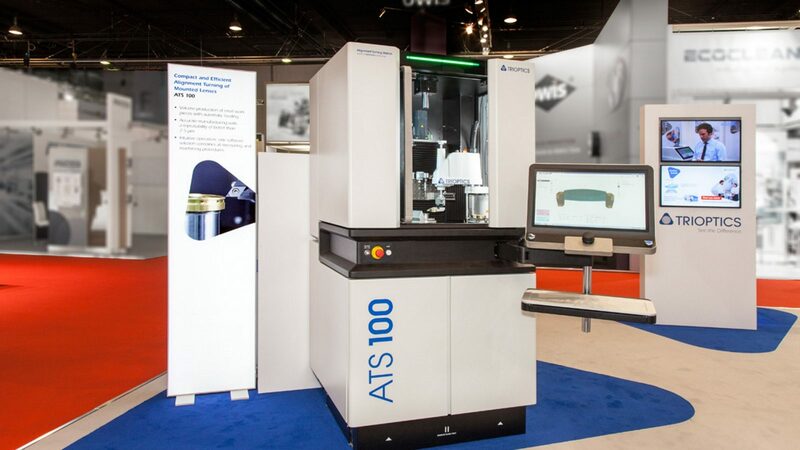 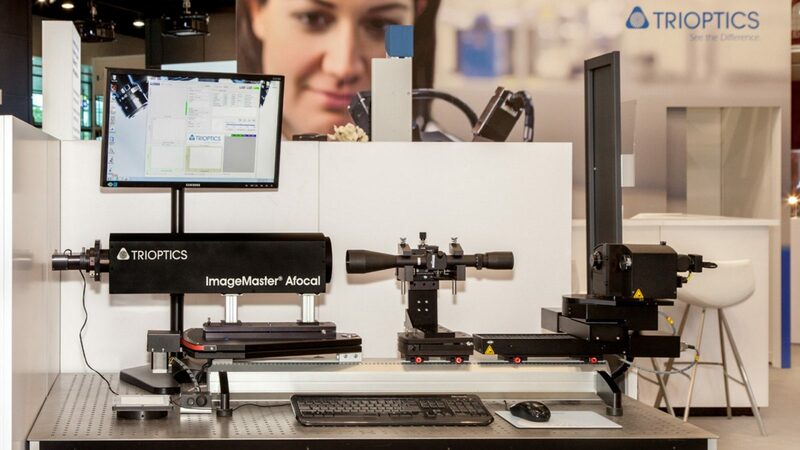 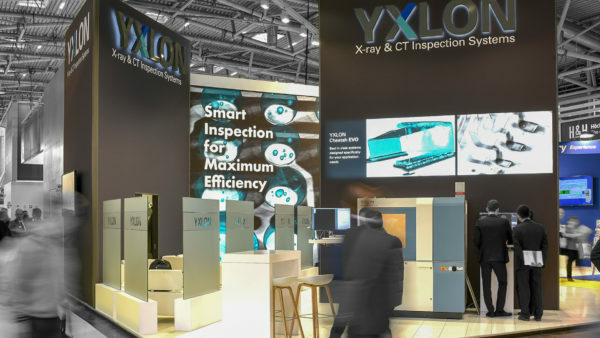 Like us, this producer of optical metrology considers accuracy of fit the key to success. 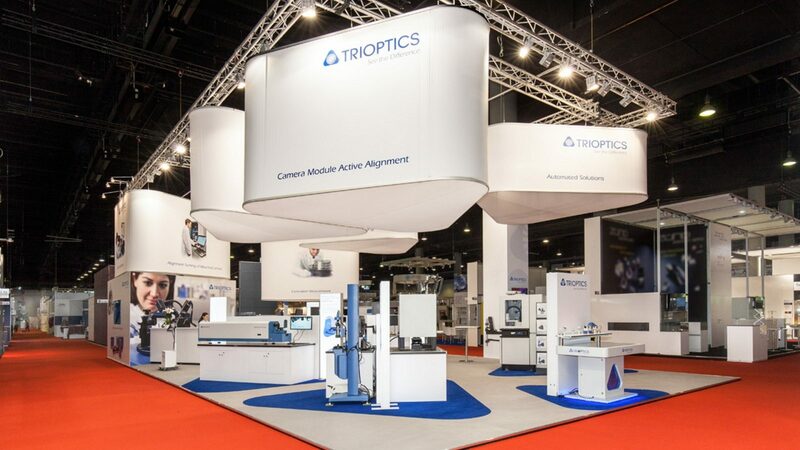 The TRIOPTICS logo stands for absolute precision and is a familiar icon in the sector. 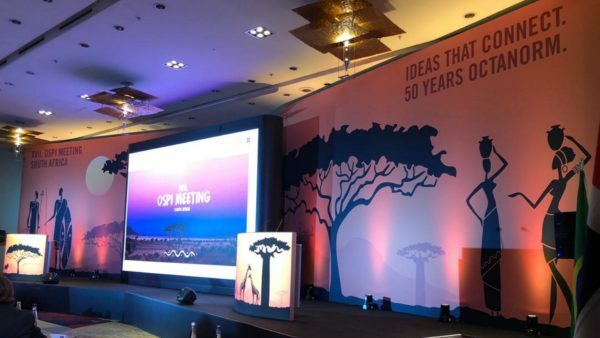 We successfully transformed this prestigious icon into a three-dimensional space for the very first time. 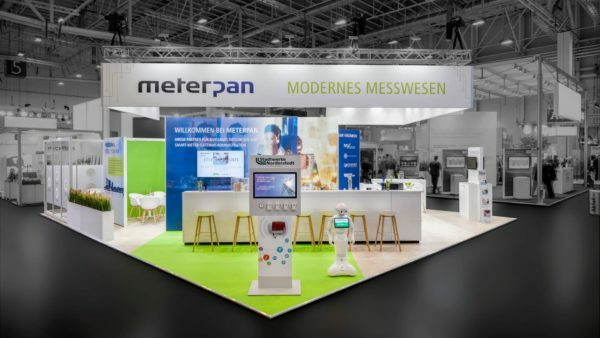 The pattern of the fabric cubes – designed to be attention-grabbing from afar – is also found in the flooring and divides the space of the exhibition stand into different themes. 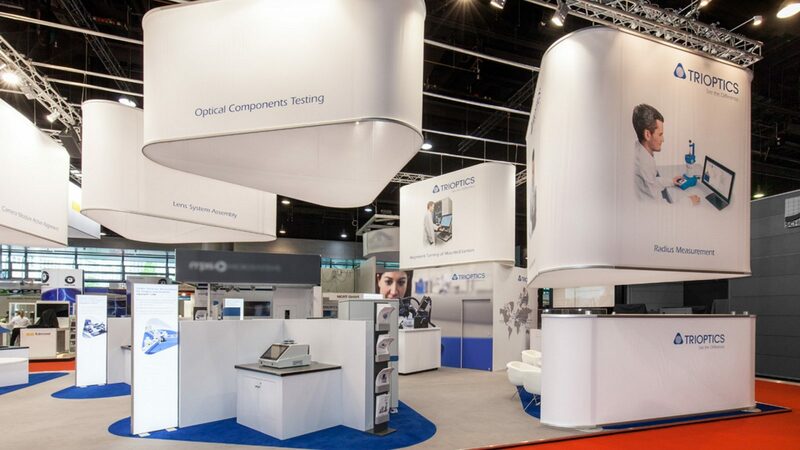 You’ll not find a more cleanly structured space than this – especially over an area of 153 m²!